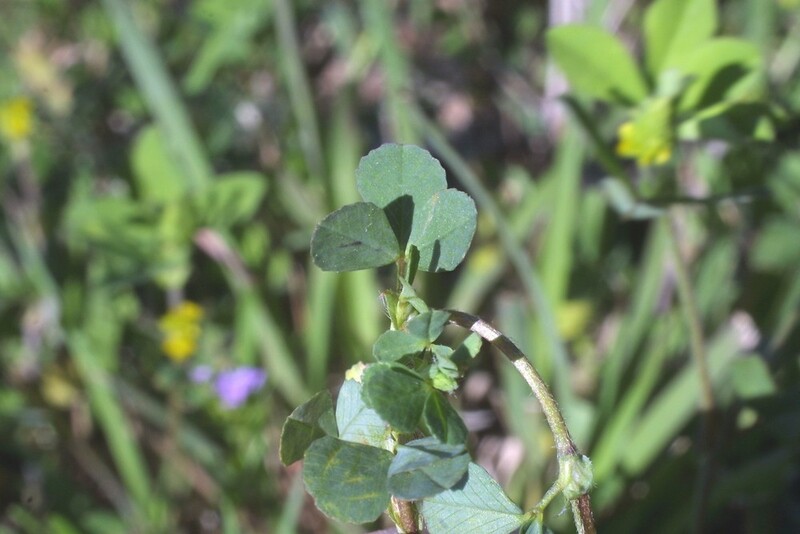 Lesser hop clover is a widely introduced annual legume used as forage. 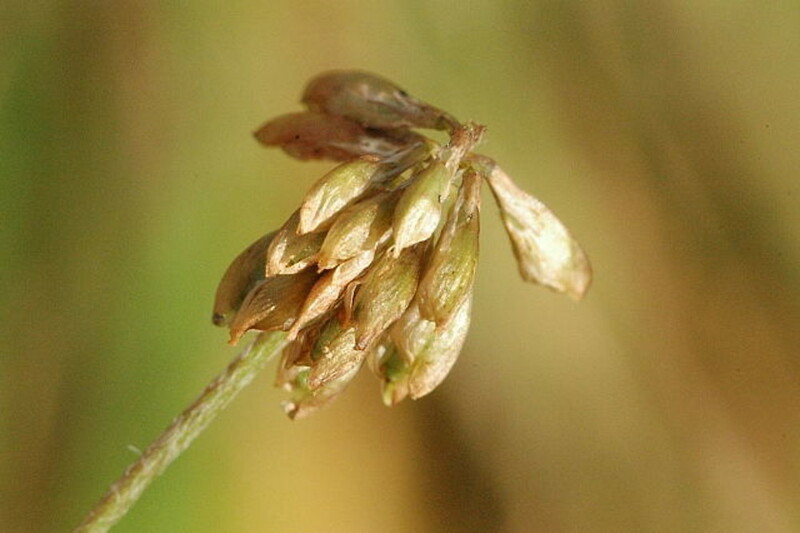 It may invade lawns, where it can tolerate mowing. 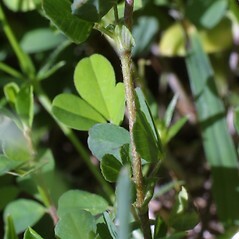 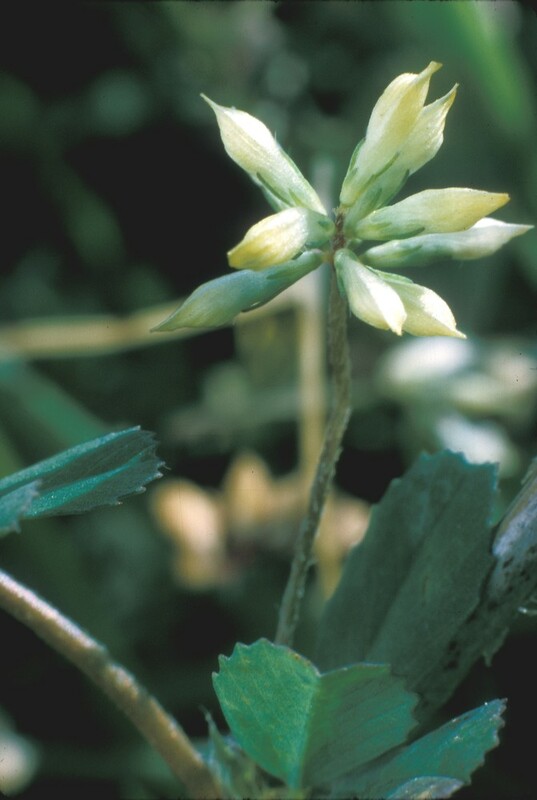 central leaflet of leaf without a stalk or on a stalk that is approximately the same length as the stalks of the lateral leaflets and flowers 5-7 mm long (vs. T. dubium, with the central leaflet of leaf on a stalk that is longer than the stalks of the lateral leaflets and flowers mostly 3-4 mm long). 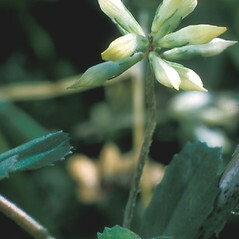 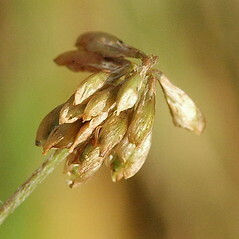 central leaflet of leaf on a stalk 1-3 mm long and flowers mostly 4-5 mm long (vs. T. dubium, with the central leaflet of leaf on a stalk up to 1 mm and flowers mostly 3.5-4 mm long). 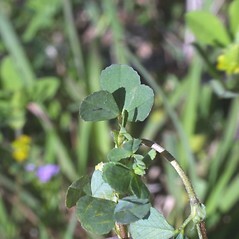 lesser hop clover. 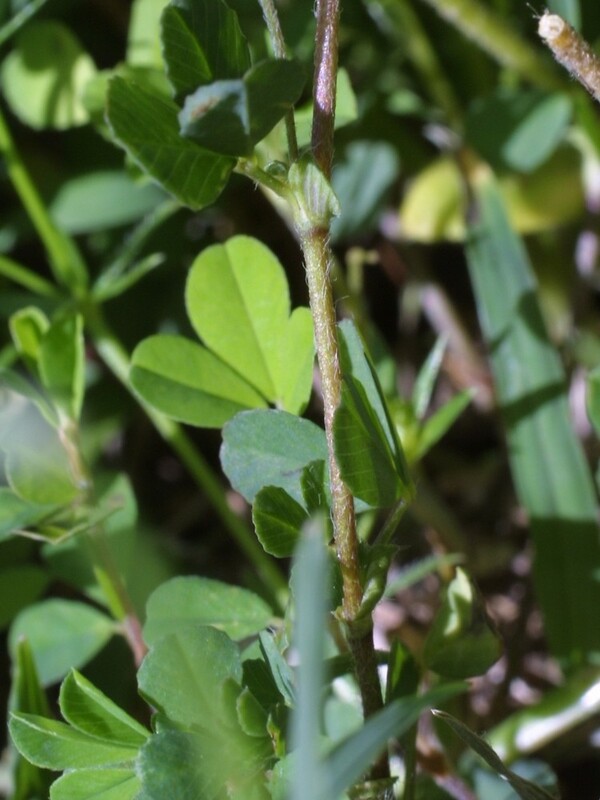 CT, MA, ME, RI, VT. Fields, roadsides, lawns, waste areas.